A two-thirds size bun pan measures approximately 16" wide by 22" long giving you a great medium sized bun pan. Though it's called a bun pan, it can be used for a variety of other foods. 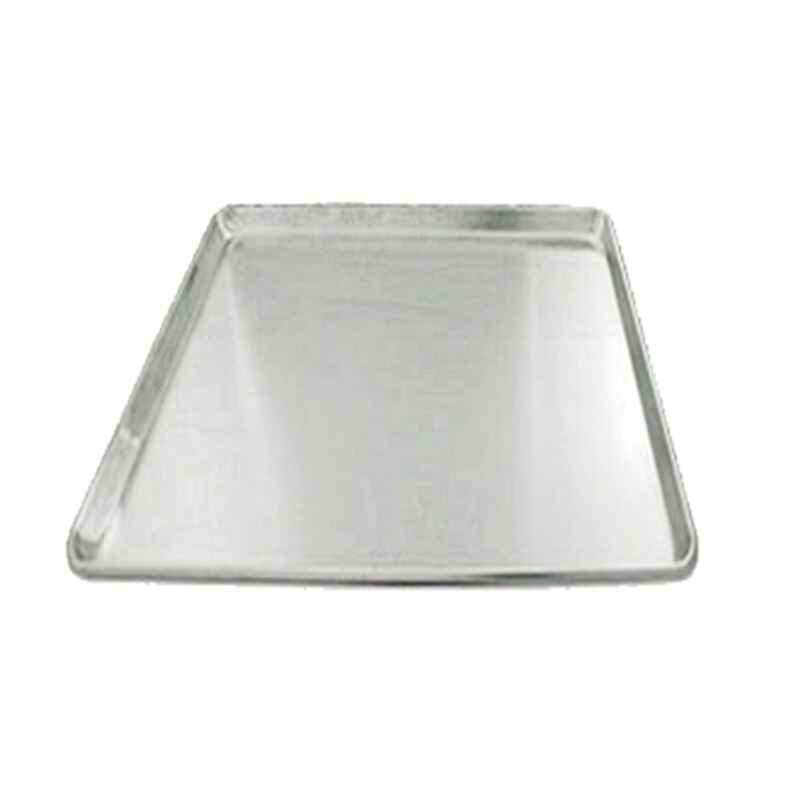 The size is able to fit in most ovens to give you a versatile baking tool. 19 gauge aluminum material keeps this pan strong through many uses. A wire-rimmed edge gives the baker a 1" deep grip to hold on to when taking in and out of the oven without having to worry about sticking a finger or oven mitt in food accidentally. Great for bakeries, restaurants, or home use.